Includes 25 journal pages (one for each day) and a free printable journal pages download! Welcome to 25 Days in December. This holiday devotional activation book is centered around the “Christmas Story” as told in the Bible. As soon as you begin reading, you will embark on a wonderful journey of self-discovery, exploration, and revelation. I am very excited for you. 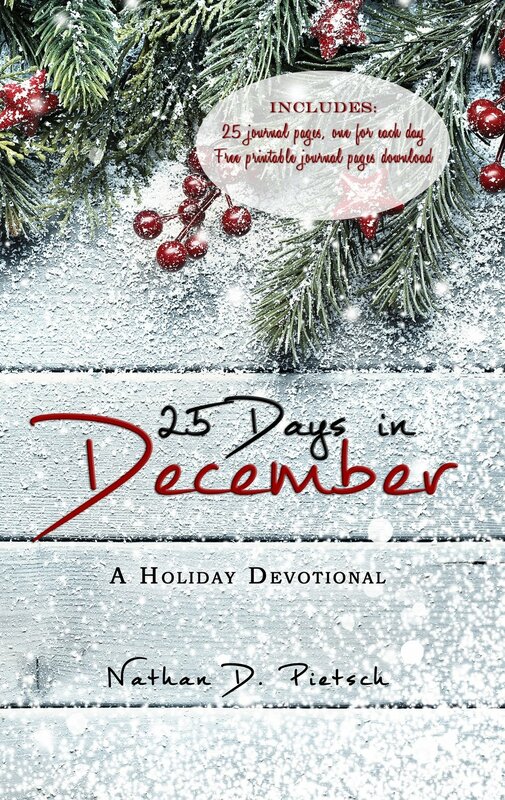 25 Days in December is perfect for the entire family or church group. It contains scriptures and teachings surrounding the birth and early Childhood of Jesus Christ. Following each devotion, you will find a practical activation that brings the lesson to life, stimulates conversation, and unifies the entire group. The “Christmas Story” is one of the most well-known stories in history. This story speaks of Jesus’ birth, wise men, and the star of Bethlehem to name some features. The story begins at the conception of Jesus in the Virgin Mary and continues until Jesus is a young Child of about three years of age. Throughout 25 Days in December, we will examine the “Christmas Story” as recorded in the Bible. We will specifically look at Luke 1:26-56, Luke 2:1-40, and Matthew 1:18-2:23. At the end of each daily devotion, there is a life-changing activation. Each activation is designed to help put into practical application what you learned. Additionally, when you read through this book as a family or group, your relationships with each other will be significantly deeper and stronger. The best part is so will your relationship with the Heavenly Father, Jesus Christ, and Holy Spirit.